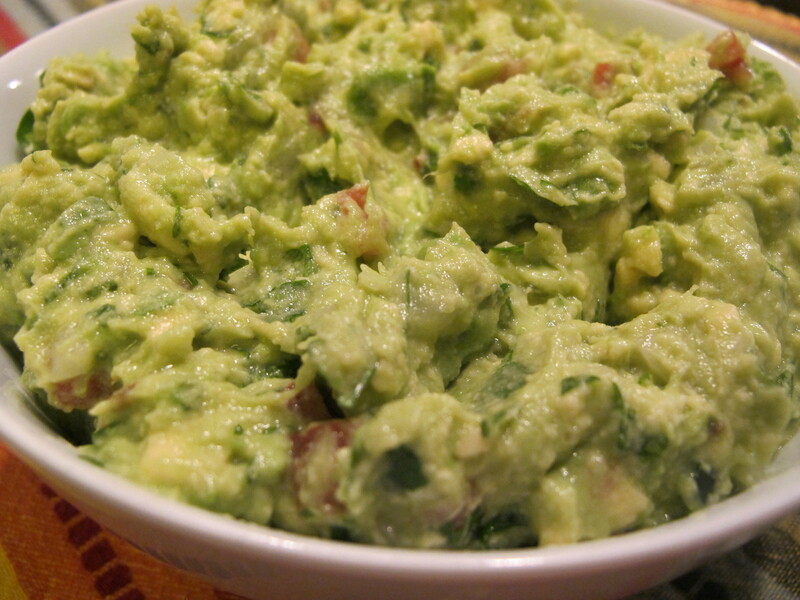 There are a lot of guacamole recipes out there and this is mine. This is a BASIC recipe for me because it is delicious and my Mom made it often. I may have mentioned this before, but I remember sitting at home watching something on TV or reading when a THUNK would hit the roof and my Mom would tell us to run out and get the avocado before the dog got to it. It bugged me at the time but now I know how amazing that was: We had an avocado tree! At home! And my Mom made good use of them. This is the guacamole recipe I remember having at home, or pretty close. 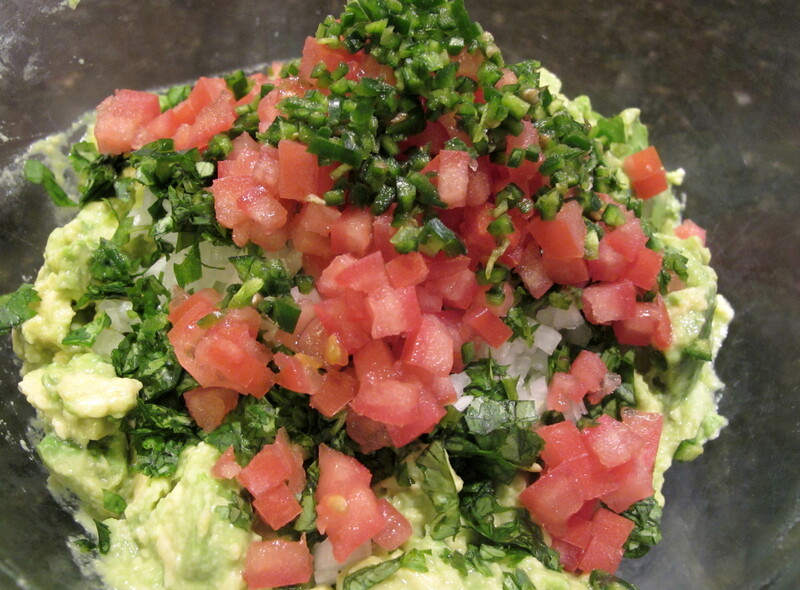 Good guacamole is simple and delicious. The ingredients make the dish. Peel and remove the large pit (seed) from the avocado. 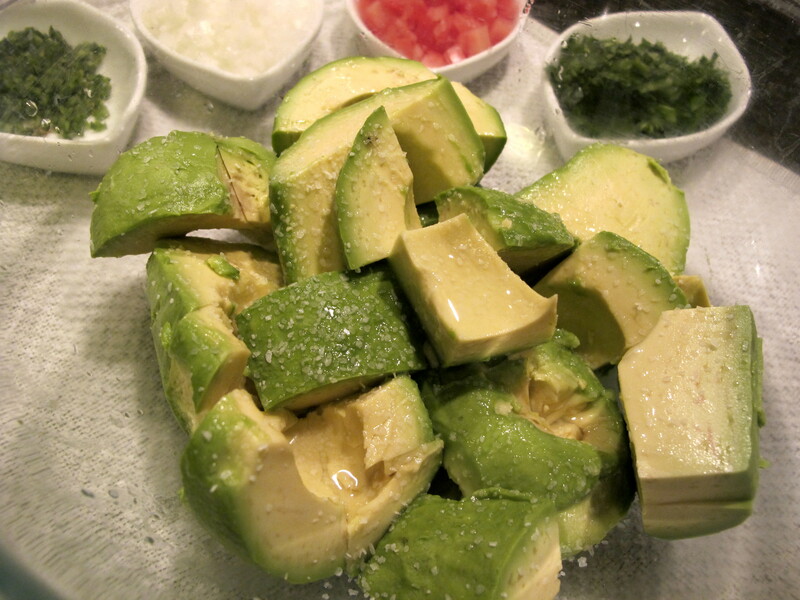 Place the avocado in a large bowl along with the tomatoes, onion, serrano chile, cilantro and lime juice. Mash the ingredients until they are smooth but with a little bit of texture. Add salt to taste and serve with tortilla chips as an appetizer or as an ingredient for tacos or other dishes. NOTE: If you do not use all of the guacamole, place it in a bowl and cover with plastic wrap (as close to the surface of the guacamole as possible). You have a great blog 🙂 I am finally learning how to make mexican food at home 🙂 thanks for sharing your recipes! Thank you. I am learning a lot about Mexican food. I’m glad you like what you’ve seen so far!